When photographing a bride, we always look for natural frames. Whether it is larger full scale frame or a smaller frame of the face, it's an effective way to focus your attention on the main subject. 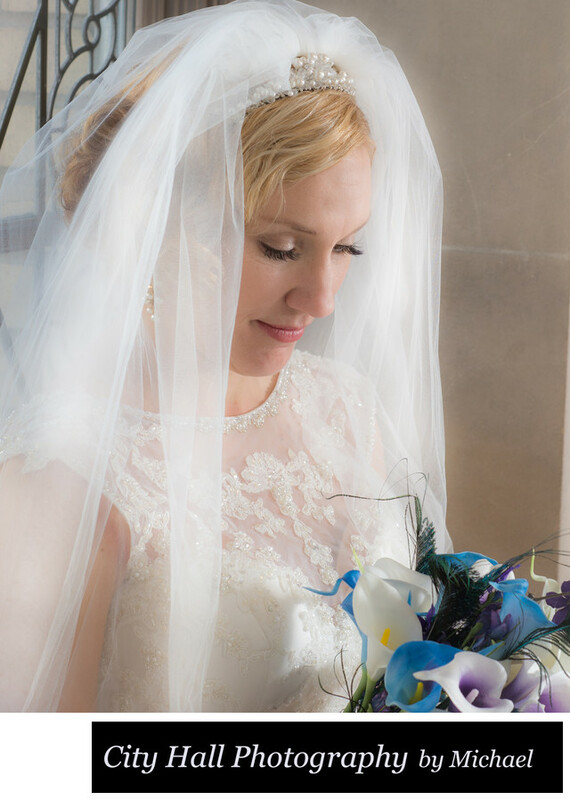 In this photo we positioned the Bride's veil to magically surround her face to create a small natural frame. The subtle window light coming in from behind does a very nice job giving the veil a soft glow enhancing the image even more. To add some color we had the bride move her bouquet up slightly so it was in the frame, but only a little. The splash of color add some interest to the photo without being distracting.